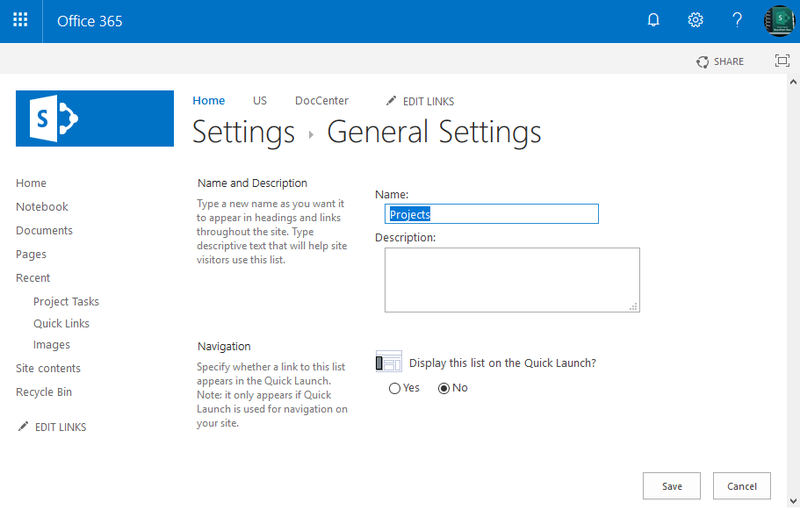 How to Rename List in SharePoint Online? In the List settings page, Click on "List name, description and navigation" link under "General Settings" heading. In General Settings page, You can update the Title of the list and click on "Save" to commit your changes. Now lets rename a SharePoint Online list using PowerShell. Rename-SPOList -SiteURL "https://crescenttech.sharepoint.com/" -ListName "Documents" -NewName "Team Documents"
Please note, changing the list title doesn't change the list URL! If you need to change the URL of a SharePoint Online list, refer: How to Change the List URL in SharePoint Online using PowerShell? #Rename "Projects" List to "Projects Archive"
Set-PnPList -Identity "Projects" -Title "Projects Archive"